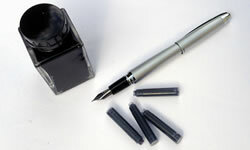 Test your knowledge of pens and inks with our fun pen quizzes. We have a quiz for everyone so try it out. 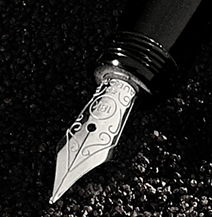 Find out if you are a fountain pen addict, see what type of fountain pen you would be, or just test your fountain pen knowledge. Don't forget to share your results with your friends! Check back often, we will be adding more quizzes to test your knowledge. 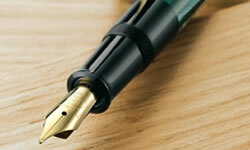 What Kind of a Fountain Pen Are You?